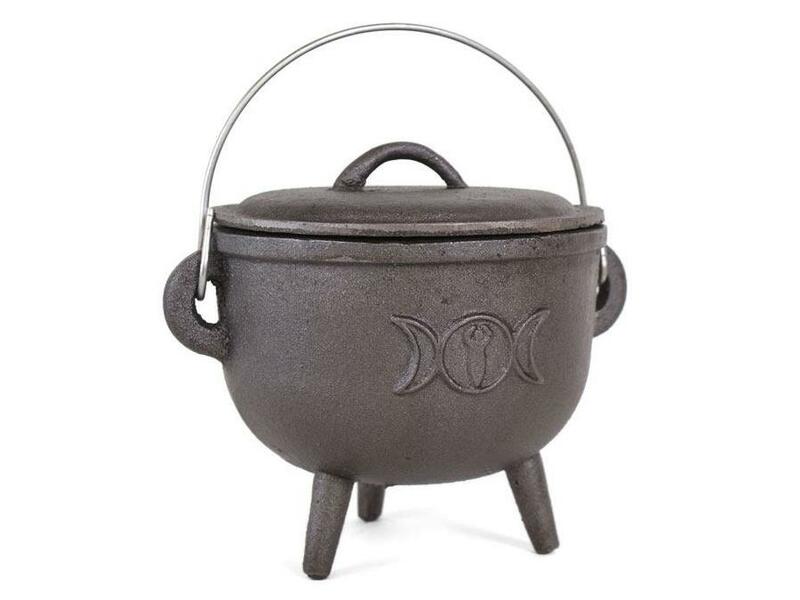 Cast iron, squat cauldron with lid H:13.50cm x W:15.00cm x D:9.70cm (5 x 6 x 4 inches) with lid. Perfect for ritual use. 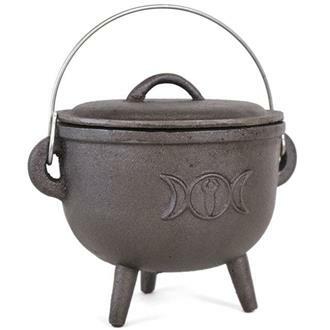 The cauldron has Triple Moon and Goddess symbol.